In the era of digital downloads, instant file sharing and a slew of portable music players, it is a rare occurrence to stumble upon a store that is dedicated to selling tangible discs, especially of the vinyl variety. B-Side Records, a locally-owned record store on State Street, has been around long enough to witness the evolution of several musical formats, with the store nearing its 30-year anniversary this coming October. The name, B-Side, fits the nature of the store. For those born in the era of Walkmans and cassettes, or perhaps even after that, the B-side of a record refers to the opposite side of a vinyl, where songs that were less likely to be aired on the radio were placed. In an email interview with The Badger Herald, owner Steve Manley explained how he got started in the business and how it has changed over the past decades. For music fans with vintage souls who enjoy collecting music the “old school” way, Philadelphia is home to a number of record shops that have a large number of vinyl records. Dust off your parent’s record player and head to any of the following record stores spread out through the city. These top record stores have a wide selection of records featuring classic rock artists, doo wop, and R&B and even present musical artists. By any standards, Peter Frampton had a remarkable 2011. The veteran English guitar star and songwriter played a Frampton Comes Alive! 35 tour to acclaim, revisiting the album that made his name globally for a record that remains one of the best-selling live albums ever. The iconic 3-pickup Gibson Les Paul Custom played on the album became famous in its own right. And, after it was presumed missing for 32 years, Frampton got his Comes Alive! Gibson Les Paul back in late 2011. In a bizarre tale, Peter explains all below. Once a semi-annual release, the "Vinyl Record Buyers Guide Magazine" Magazine goes to quarterly distribution, after accessing 1-Million subscribers. New York, NY, February 21, 2012 --(PR.com)-- The "Vinyl Record Buyers Guide Magazine," a valuable tool for consumers seeking to find local and regional and online vinyl record and CD related music retailers and associated audio equipment and software, has reached a historic level of 1-Million subscribers who have requested to receive information on music and entertainment oriented sources. As a consequence, the magazine, once a semi-annual distribution, will begin to send out its pages quarterly, beginning March/April of this year. 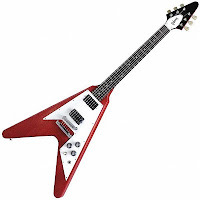 Readers can use the publication's vinyl record retail and record label and related vinyl record equipment supplier directory to locate hard-to-find modern and collectible vinyl records and their associated devices, including turntable, stylus, pre-amp, microphone and other related item manufacturers. In addition, the publication has increased its news article reporting on the vinyl record industry. The first quarterly edition to carry articles on Jack White's "Third Man Records" and its efforts to diminish lost revenues for its music artists who lose income to the hands of eBay LP "flippers," and a review of the "northern soul records" phenomena, where huge prices are being paid for obscure vinyl 45 rpm records, due to their association to UK dance clubs in the North of England during the 1960s. The publication helps guide readers to find modern and collectible vinyl lp, vinyl 45, hip hop records, indy rock vinyl albums, classical music, record stores, beatles albums, country music, jazz music, folk music, r&b artists, blues music, rock n roll music, heavy metal, funk, pop music, and more. The "Vinyl Record Buyers Guide Magazine" is distributed across the U.S.A. to readers free-of-charge. To sign up to receive the magazine, please visit the website associated with this press release, where a subscription form allows consumers to subscribe safely, and know that their information will not be shared with 3rd party businesses. "LET THE SPARKS FLY" NOW AT RADIO! Sometimes the best way to move forward is to go back to the basics, taking all of the raw energy and emotion of the past and channeling it into the present. 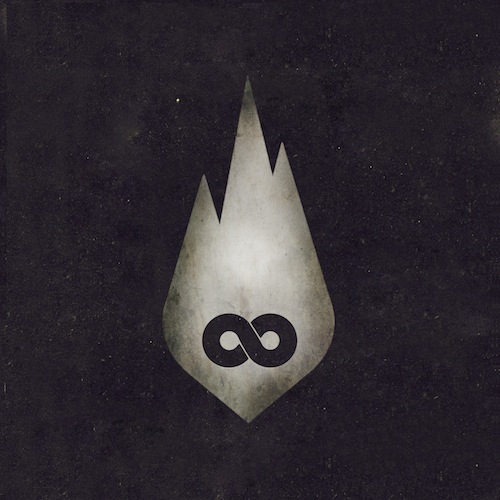 This is exactly what THOUSAND FOOT KRUTCH is doing on the aptly titled ‘The End Is Where We Begin’, which also finds Canada’s favorite modern rockers voluntarily walking away from record label life all together (even after a slew of profitable offers came along) to reignite the passionate DIY work ethos that first emerged over a decade ago. While waiting for inspiration to arrive and fuel the writing process, TFK’s songwriter and front man Travis McNevan popped in the band’s seminal debut ‘That’s What People Do,’ which echoed respected rappers like Run-DMC and the Beastie Boys, cross-pollinated with the rhythmic grooves of Red Hot Chili Peppers. Those inspirations return throughout ‘The End Is Where We Begin,’ alongside the group’s continuously marinating blend of towering choruses, razor-sharp rhythms, epic arrangements and stadium shaking rumbles. For those who’ve been following the Ontario-bred players since their formation in 1998, it’s been a continuously escalating highlight reel that includes best-selling albums, four top 25 Active Rock hits (including the top 20 smashs "Move" and “Fire It Up”), plus a slew of soundtrack slots. In fact, the group has literally infiltrated every facet of pop culture, from ongoing ESPN placements, to various NASCAR, MLB, NHL and NFL airings (including the 2010 Super Bowl), along with the “GI Joe” movie trailer, WGN-TV’s “Smallville” and EA Sports’ “NHL 2010” video game. That trend is continuing at breakneck speed with the new project, which even prior to hitting streets, found the lead single “Let The Sparks Fly” and fellow adrenaline-infused rocker “Light Up the Sky” picked up by ESPN. Both tracks also serve as the ultimate tone setters for the sonic explosions contained within ‘The End Is Where We Begin,’ which could be considered the ultimate THOUSAND FOOT KRUTCH mix-tape showcasing a myriad of full-throttled personalities. THOUSAND FOOT KRUTCH is also already on tour in support of the new album as part of the REDvolution Tour alongside Red, Manafest, Nine Lashes and Kiros. 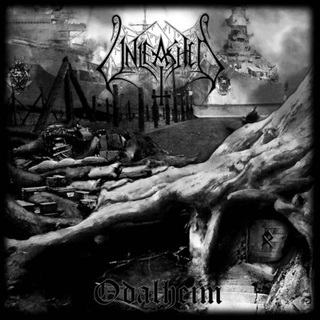 Swedish death metallers Unleashed have recently revealed the album cover art and track list for the band's new LP called 'Odalheim,' which is schedlued for release on April 20, 2012 (Europe) and April 24, 2012 (North America) via Nuclear Blast. Metal heavyweights ROB ZOMBIE and MEGADETH have just announced a co-headlining tour guaranteed to raise the temperature on the planet. The trek, which marks the first time the two bands have toured together, kicks off Friday, May 11 in Holmdel, New JerseyJ and encompasses high-profile appearances at several rock festivals, including M3 Rock Festival, Rock On The Range and wraps Saturday, May 26 at Rocklahoma. ROB ZOMBIE will headline Rocklahoma, co-headline Rock On The Range (with INCUBUS), and will close all shows on the MEGADETH dates. A complete list of dates is below. CHICKENFOOT have set some dates for their "Different Devil Tour" in the spring. Supporting the band is BLACK STONE CHERRY. May 09 - Denver, CO @ The Fillmore Aud. 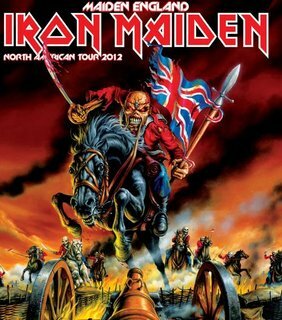 UK metal icons Iron Maiden have announced the "Maiden England Tour" in North America this summer. Up to July 21, 2012, the special guest act will be Alice Cooper and after July 21, 2012, the band will be Coheed & Cambria. "We have great fun playing the History of Maiden Tours because it gives us an opportunity between new albums to go out and play songs from our earlier catalogue. It’s always fantastic seeing the crowd reaction from a new generation of fans who have never experienced some of these tracks performed live before, and of course we know our longstanding fans will enjoy seeing the original Seventh Son Tour re-visited - with many other surprises! Our intention is to play about two thirds of the original track list of Maiden England (shown below*), including some songs we have not played live in a very,very long time, plus other favourites we just know the fans are going to want to hear! We always try to give our fans a great show musically, but we have always tried to make it as entertaining and memorable an experience as we can visually. And we all feel this show is going to do that splendidly! We can't wait to get started in Charlotte." In 1964, the Rolling Stones released the single "Not Fade Away" in the UK, two weeks before it was issued in North America. The Rolling Stones version of "Not Fade Away" was one of their first classic hits. Recorded in late January 1964 and released by Decca on February 21, 1964, with "Little by Little" as the B-side, it was their first Top 5 hit in Great Britain, reaching #3. In March 1964 it was also the Rolling Stones' first single release in the United States, on the London Records label, with "I Wanna Be Your Man" as the B-side (briefly preceded by "Stoned", which had immediately been withdrawn). The single reached #48 on the U.S. Billboard Hot 100 singles chart. 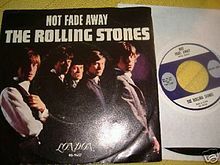 "Not Fade Away" was not on the UK version of their debut album, The Rolling Stones, but was the opening track of the US version released a month later as England's Newest Hitmakers. It was a mainstay at Rolling Stones concerts in their early years, usually opening the shows. It was revived in that capacity for their 1994-95 Voodoo Lounge Tour. Ironically the Stones' version, unlike the original, chooses to fade-out on the "not fade away" lyric. 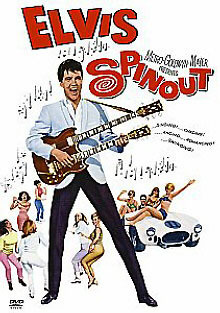 In 1966, Elvis Presley began filming "Spinout," co-starring Shelley Fabares, his 22nd movie. In 1967, Elvis Presley recorded "Clambake," the title song of his 25th movie, which also co-starred Shelley Fabares. Also in 1967, at EMI's Abbey Road Studios in London, the Beatles finished recording "Fixing A Hole." Initial tracks for the song had been recorded at Regent Sound Studio on February 9. In 1970, Simon And Garfunkel's "Bridge Over Troubled Water" entered the UK album chart at number 1, where it would stay for 12 consecutive weeks. It would return to the top seven times, spending a total of 41 weeks there over the next two years. In the US, the LP spent 10 weeks at number 1 on the strength of three Top Ten singles and was the number 7 album of the decade in America. Also in 1970, The Jackson 5 make their TV debut on American Bandstand where they sing "I Want You Back". In 1975, John Lennon released the Phil Spector-produced album "Rock 'n' Roll" after a much shabbier version of the material called "Roots" began to be marketed on late-night television. "Roots" was music executive Morris Levy's version of the "oldies" sessions, which Lennon had been court-ordered to undertake as payment for appropriating a Chuck Berry lyric for the Beatles' "Come Together." Levy's copyright was judged to have been infringed by the line "Here come old flat-top, he come groovin' up slowly." 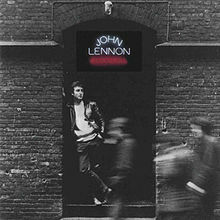 "Rock 'n' Roll" was Lennon's last record before taking a five-year hiatus from the music business. In 2004, Yoko Ono supervised the remixing of "Rock 'n' Roll" for reissue, including four bonus tracks from the Spector sessions. In 1980, Janet Vogel, who sang soprano for The Skyliners on their 1959, US number one hit, "Since I Don't Have You", committed suicide by carbon monoxide poisoning. She was 37. In 1981, Dolly Parton topped the Billboard Pop Chart with her own composition, "9 to 5". The record reached #47 in the UK. 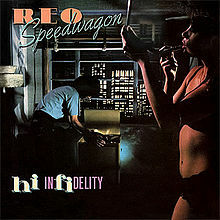 In 1981, REO Speedwagon started a 15 week run at the top of the Billboard album chart with "Hi Infidelity". In 1982, disc jockey, Murray "The K" Kaufman, died of cancer at the age of 60. Kaufman's influence on Rock and Roll and its audience led the Beatles to seek him out when they first came to America in 1964. Kaufman's friendship with the group gave him cause to start calling himself "The Fifth Beatle". In 1987, "Stand By Me" by Ben E. King topped the UK singles chart after it was featured in a movie by the same name. The song first became a hit in 1961. In 1990, Milli Vanilli are awarded the Best New Artist Grammy. It would take until the following November for producer Frank Farian to confess that the duo of Fab Morvan and Rob Pilatus never actually sang a single note on their recordings, causing the award to be withdrawn. In 2001, Johnny Cash is released from a Nashville hospital after recovering from pneumonia in time to accept his Grammy Award that night for Best Male Country Vocal Performance for his cover of Neil Diamond's "Solitary Man". In 2007, after a Motown spokesman had said the film Dreamgirls had upset several of their artists who felt the label was falsely depicted in a negative light, Dreamworks, the makers of Oscar-nominated musical took out a full page ad in the movie trade papers The Hollywood Reporter and Daily Variety where they apologized to Motown Records, saying "Dreamgirls is a work of fiction. It is also an homage to Motown." Berry Gordy accepted the apology. In 2008, a US music aficionado sold his collection of more than three million vinyl albums, singles and compact discs to an eBay buyer from Ireland for just over $3 million. An eBay spokeswoman said the sale is one of the highest ever for the online auction site. In 2009, an exhibit of James Brown's personal belongings opened at South Carolina State University. The collection included photos, crystal-studded suits, and even the hair curlers Brown used to form his signature pompadour. In 2011, the Cars announced that May 10th would be the release date for their first new album in 24 years. In 2011, Boy George revealed a Culture Club 30th anniversary album and tour plans for 2012. Aso in 2011, the Monkees announced their 45th anniversary tour featuring Mickey Dolenz, Davey Jones and Peter Tork.